It’s a great time to be an Annual Passholder at Disneyland! Every year, during the winter season, Disney invites Passholders to enjoy exclusive perks at the park , escape to warm weather in Southern California and say “Thank You” for being a loyal Mouse-fan. This year, AP Days run from February 10th – March 9th. Of course, black out days still apply. Make sure to click here to check any applicable black out dates or restrictions. Annual Passholders must present a valid passport to receive benefits and each Passholder must be present. So, while it may seem enticing to split up and get as any perks as possible, stick together! Now, let’s get to the good stuff….the swag and goodies! The best way to describe the AP Days Welcome Center is, it’s the Disney version of an swanky airline lounge. The lounge is located in the Starcade, near the exit of Hyperspace Mountain in Tomorrowland. You will need your passport so the cast member can scan your card to enter. Once in the lounge, you will have access to exclusive apparel and merchandise with the AP Days logo. We got this cute black and lime green hat, it’s adjustable and it’s a super comfy fit. Tip: Don’t forget to present your AP for the merchandise discount! They don’t automatically apply it, even though you present your passport to access the lounge. It will add nicely to your Disneyland collection! If you make it past the gift shop without buying the whole collection, you will find an area with inviting couches and big armchairs to relax and hang out. We loved this area because it gave us a chance to rest our feet! Now, if you are like me, you like to post your visit to the park on social media; and, if you’ve been to Disneyland a few times, you know there isn’t wifi in the park and the use of data drains your battery. So, what is the BEST part of the AP Days Welcome Center? THE CHARGING STATION! While you rest your feet, you can charge your devices so when you’re ready to conquer the next adventure in the park, you and your devices are refreshed and recharged. It’s a WIN-WIN! Other areas of the lounge to check out are, the photo session with an Electrical Parade theme, a visit with characters with shorter lines and a paper craft activity center for kids and kids-at-heart. It’s a definite must visit for Passholders! If the return of the Main Street Electrical Parade made you grin like the Cheshire Cat, the exclusive AP Days buttons will be a must-have for you! The buttons change weekly and all pay tribute to the parade. The buttons are distributed right outside the AP Days Welcome Center. You MUST present your passport and it’s limited to one (1) per person (they scan your passport). Tip: If you stop to get your AP Days button, before entering the Welcome Center, KEEP YOUR PASSPORTS OUT! Although the two are just steps away, one doesn’t validate access for the other and your passports have to be scanned twice. Now, on to the recipe cards! Another cool collector’s item is collecting the recipe cards at Jolly Holiday Bakery Cafe (Main Street), Redd Rockett’s Pizza Port (Tomorrowland), Gibson Girl Ice Cream Parlor (Main Street) and Main Street Refreshment Corner. (Again, passports required and one (1) per person). The recipe cards are from Walt Disney’s personal recipe collection, like Oscar’s Potatoes and Browned Roast Beef Hash. These are great collector’s items and a great way to bring Disney and Walt home with you! Annual Passholders can visit the Main Street Opera House to view screenings of historical parades. Showings are daily at 5:00pm, 6:30pm and 8:00pm. 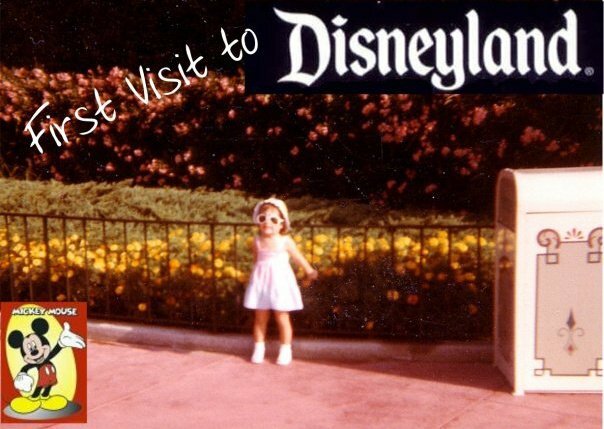 If you leave the showings and don’t feel nostalgic or love Disneyland even more, then we suggest going to another viewing! We left with all the feels and loved the blast through the past! Tip: Annual Passholders can stop by the Opera House, starting at 10am, to reserve a viewing for later in the day! 4. You Scream, I Scream, We all Scream for…POPCORN! Now, if you don’t like popcorn, this might not make your Top 4 perks; but we do, so here it is! For $15, Annual Passholders can purchase popcorn buckets in one of two designs that are good for $1 popcorn refills through April 16th! Now that’s a lot of buttery goodness! We may be sick of popcorn by April 16th but it will totally be worth it! Psst…Don’t tell our dentist! There you have it! Our favorite perks of AP Days at Disneyland! This year was, by far, the BEST appreciation event and we definitely felt the LOVE! For more information on AP Days, click here! Enjoy!